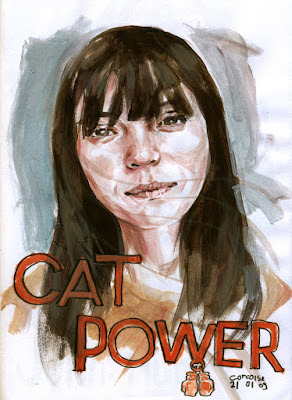 corcoise: Happy Birthday, Cat Power! Charlyn "Chan" Marshall, também conhecida como Cat Power, nascida a 21 de Janeiro de 1972. Charlyn "Chan" Marshall, also known as Cat Power, born on January 21, 1972.